Two queen bedrooms for one or two couples. Maximum privacy. Internal access to each room. All rooms open onto a covered patio, lawn & garden. No stairs. 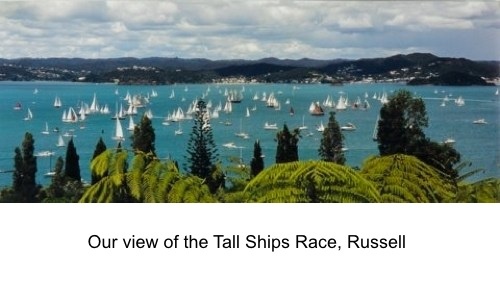 Russell, in the Bay of Islands, New Zealand is only 3 hours drive from Auckland’s harbour bridge. Russell is the first choice for discerning travellers. 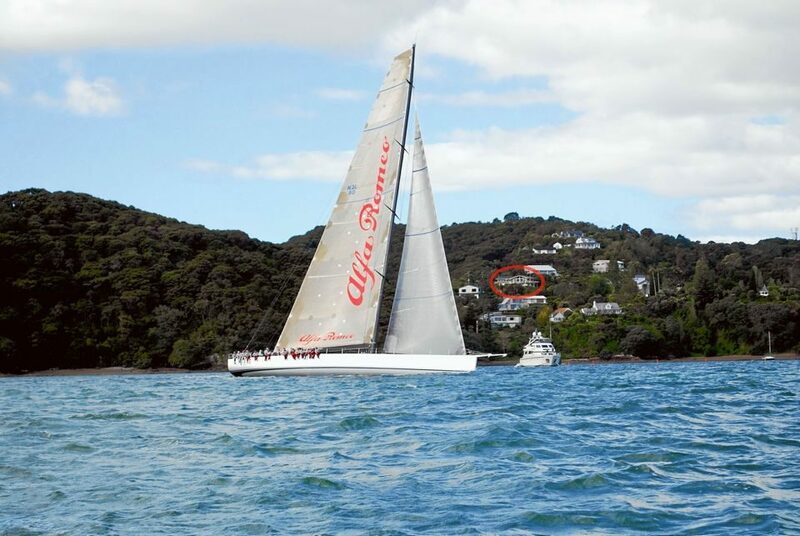 This historic village and sheltered anchorage is a convenient departure point for all cruises and activities on the Bay. 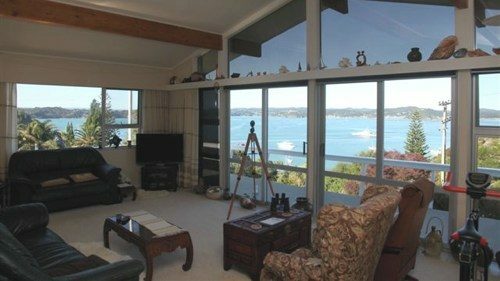 The photos here include the view from our balcony overlooking the Bay, Paihia and Waitangi. 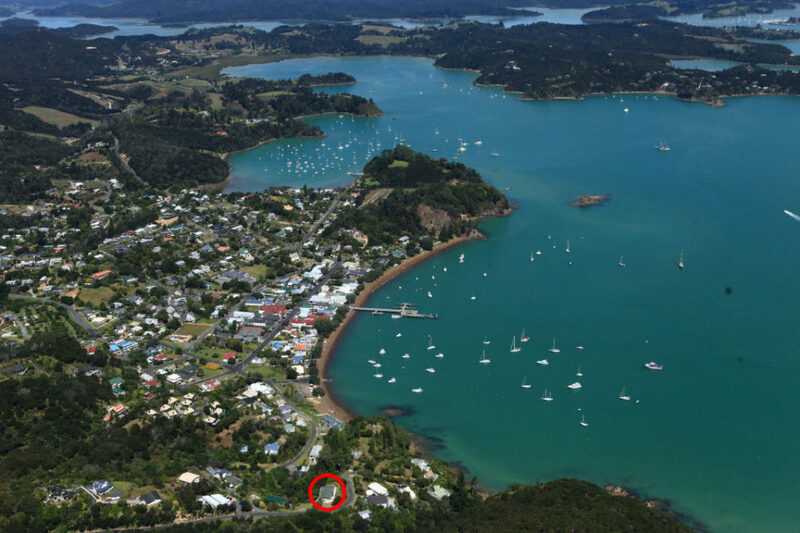 We are next to a native bush reserve with pleasant walks (a kiwi zone) and close to the historic Flagstaff lookout, which has a full 360 degree overview of the Bay of Islands. Accommodation at ‘A Place in the Sun’ is peaceful and private, yet close to all amenities. There is safe off street parking with security lighting for cars and boat trailers, and we are just 400 metres from the wharf, Russell’s ‘front door’. We will meet you at the passenger ferry if you are arriving by public transport. Self-contained rates per night are from $135 (single) to $275 (4 guests). Please let us know how we can help you plan your time with us by contacting us at the details below or by using our contact form. We endeavour to answer all enquiries promptly and personally.